Having identified the three men responsible for Tuesday's bombing at Brussels' Zaventem airport, police are now said to be closing in on the one surviving suspect, Najim Laachraoui. 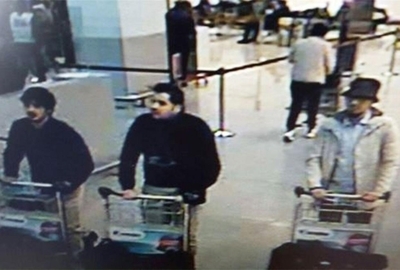 Laachraoui can be seen with Brahim El Bakraou and another bomber, in airport surveillance video taken shortly before the attacks. 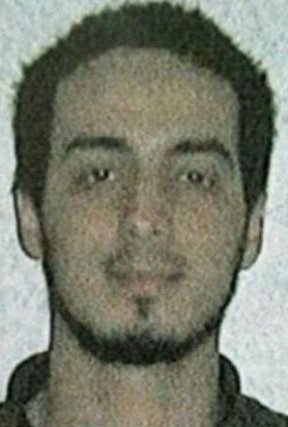 Bakraou's brother Khaled is believed to be the suicide bomber who blew up a Metro car shortly after the airport attack. But who is Najim Laachraoui? A Moroccan native who grew up in the neighborhood of Schaerbeek and attended Catholic school, Laachraoui was known to authorities even before the bombings. Using the name Soufiane Kayal, he is believed to have rented a safe house in Auvelais, Belgium, which the Washington Post reports "was raided shortly after the attacks in Paris." More recently, Belgian police report, both his fingerprints and those of Paris bombing suspect Saleh Abdeslam's were found in another house in Schaerbeek. It appears that the two have been acquainted for quite some time: they were stopped last September in a routine check as they drove across the Austrian-Hungarian border with a man named Mohammed Belkaid (also known as Samir Bouzid). Belkaid was killed during last week's police raid in Vorst that ultimately led to Abdeslam's capture. Laachraoui also is known to have gone to Syria to join ISIS in 2013, reportedly using the name Abou Idriss. There is conjecture that he returned by taking advantage of the rush of refugees that arrived in Europe last summer. It was there that he became an expert at bomb-making, a craft he is believed to have put to use both in Paris and again in Brussels. Authorities reportedly found a third bomb at the Brussels airport that did not detonate. Laachraoui apparently left the airport before the attack. As of this writing, he remains at large.